Contrary to what you might believe, ensembleing seriously stylish doesn't require that much effort. 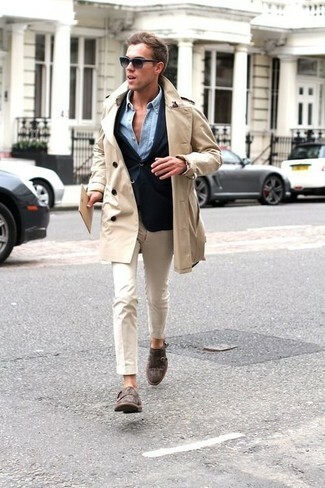 Just consider wearing a beige trenchcoat and beige chinos and you'll look savvy. Bump up the cool of your getup by finishing off with Mezlan lubrin double monk strap shoe. As you can see here, getuping on-trend doesn't take that much time. Just pair a dark brown plaid double breasted blazer with beige chinos and you'll look incredibly stylish. 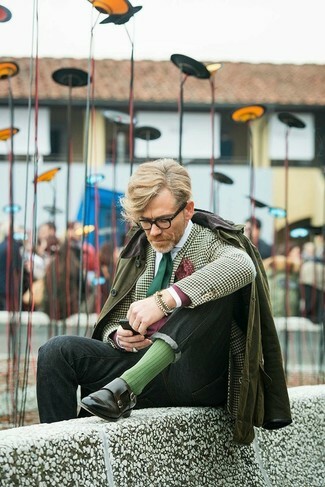 Rocking a pair of Mezlan lubrin double monk strap shoe is an easy way to add extra flair to your getup. Go for a classic style in a grey wool suit and a grey plaid waistcoat. 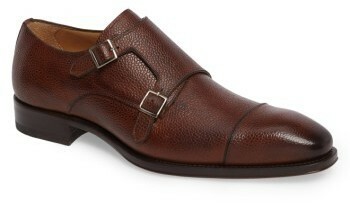 Mezlan lubrin double monk strap shoe will deliver a more relaxed feel to your outfit. 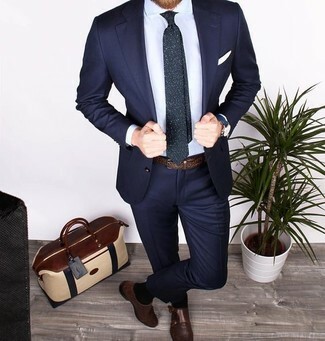 A modern man's sophisticated closet should always include such stylish essentials as a navy suit and a light blue dress shirt. 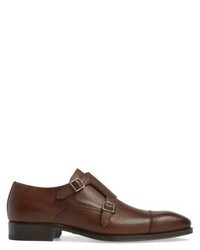 Go for a pair of dark brown leather double monks to make the ensemble more current. 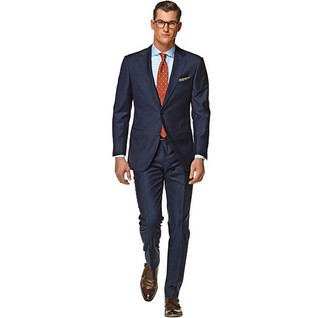 For a nothing less than incredibly stylish getup, team a navy suit with a white and blue gingham dress shirt. 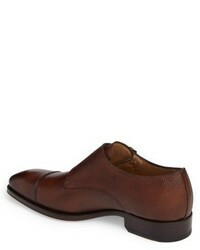 Mezlan lubrin double monk strap shoe from Nordstrom will add more playfulness to your look. If you're searching for a casual yet seriously stylish look, wear an olive barn jacket and charcoal jeans. Both garments are totally comfortable and will look great paired together. Take a classic approach with the footwear and go for a pair of Mezlan lubrin double monk strap shoe. 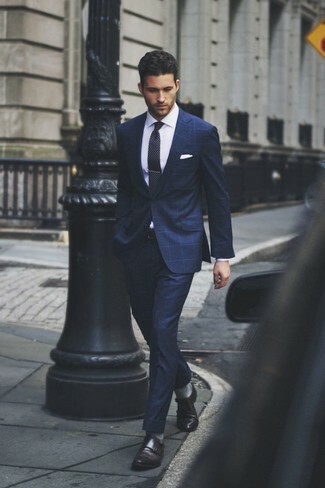 Try pairing a navy check suit with a white dress shirt to ooze class and sophistication. 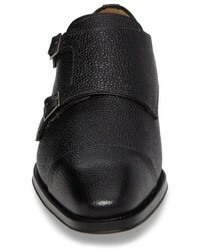 For something more on the daring side to finish off this getup, go for a pair of Mezlan lubrin double monk strap shoe. 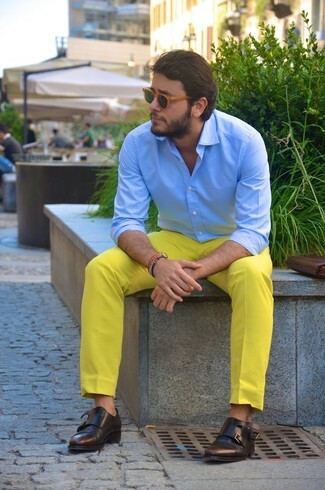 For a smart casual look, wear a light blue dress shirt and yellow chinos — these two items fit nicely together. A cool pair of Mezlan lubrin double monk strap shoe is an easy way to upgrade your outfit. This pairing of a navy blazer and white chinos is super easy to put together in no time, helping you look awesome and ready for anything without spending a ton of time rummaging through your closet. Got bored with this look? Enter dark brown leather double monks to jazz things up.